Industrialisation was vital “to fundamental change in structure…of economy…” It was essential to move away from dependence on production and export of primary commodities. There was a further need to see more visible and deep seated “fundamental change in patterns of ownership, management and control” in the sector. The reality was that performance of the sector to date was erratic and employment had grown much less than output. The performance of the sector was partly influenced by global factors such as the glut of steel and the weaker demand in key African export markets. There were also domestic challenges such as the weak growth in domestic demand. African countries were affected by commodity prices. Other domestic challenges were high administered prices and inconsistent application of key programmes ie localisation. Be this as it may the DTI’s programmes did have a positive impact. With respect to tax incentives alone the World Bank had concluded that investment tax incentives had contained job destruction in industrial sectors and had encouraged additional investment in agriculture, construction, manufacturing, trade and other services. Notable successes were that in automotives there was capital investment of R6.6bn in 2015 with export units amounting to 333 000 for the same year. In the clothing, textiles, footwear and leather sector output was R41bn in 2015 with employment sitting at 144 000 for the same year. The Committee was provided with insight into the looming challenge of the 4th Industrial Revolution. New digitised technologies were predicted to bring about a “disruptive change” in production and service sectors in the near future ie robotics, Internet of Things, 3D printing and artificial intelligence. Artificial intelligence would not only be present in manufacturing but in retail as well. There was further expected to be a profound social impact. Most jobs existing today would not exist in the next decade or so and the new jobs would require higher and new skills. There could also be an overall reduction in demand for labour with possibly 7m job losses worldwide. Progress had been made from calling for beneficiation to actual implementation. The Chamber of Mines Research Organisation (COMRO) had reopened with funding from the Department of Science and Technology to secure upstream mining localisation and downstream beneficiation. Of utmost importance was the need to localise the procurement of mining equipment. For example Tronox opened an R3.3bn Fairbreeze mineral sand mine in KwaZulu-Natal for titanium dioxide thereby creating 250 direct and 1000 indirect jobs. De Beers had selected 5 black-owned cutting and polishing companies for entrepreneurship development and beneficiation. Fuel cells were a key area for collaboration between the mining industry, manufacturing and government. Some key projects included a bus prototype between the Council for Scientific and Industrial Research (CSIR)/ Busmark (local OEM) and Hydrogen SA (HySA). Anglo Platinum was also collaborating with HySA Infrastructure on developing fuel cell powered mining equipment. Invest SA would be formally launched on the 17 March 2017. Its role would be to be involved in the active promotion and improved facilitation of investments. Cabinet had identified a pipeline of approximately 40 projects that were capable of being brought to fruition before the end of this term of government. With SA forming part of the Southern African Development Community (SADC), efforts were being made to promote intra African trade, support industrialisation through the creation of large regional markets that support the development of regional value chains. An Extra-ordinary Summit was to be held on the 18 March 2017 to consider an Action Plan on industrial development. The aim was to create an integrated regional economy with a diversified, innovative and globally competitive industrial base, which would contribute to sustainable growth and employment creation. Amongst the key priorities was agriculture-led growth including value chains and natural resource-led growth including minerals beneficiation. In as much as members appreciated the briefing the concern was raised that when members had gone on oversight visits they had found that 25% of factories that they had visited experienced problems with localisation. It was felt that the DTI should not only be a disbursement agency for funding. What was the DTI doing about the problem? It seemed to members that the DTI was not following up on funds that had been disbursed. Members noted that National Treasury had released new regulations on preferential procurement. However it would seem that preferential procurement would only be available to companies that had 51% black ownership. The DTI was asked what about the rest of the B-BBEE Codes. Members felt that the 51% black ownership issue defeated the purpose of B-BBEE legislation. Members had also observed that in the adjustment budget there had been an amount of R250 000 that had been paid to the organisation Progressive Youth in Business. The organisation coincidentally was housed in Luthuli House. The DTI on the R250 000 disbursement that had been made was asked to provide the requisite paperwork for it as well as proof of payment to the Committee. A DA member quoted statements made by the South African Communist Party (SACP) Secretary General and the Deputy Secretary General about radical economic transformation being advantageous to a narrow group of black elite or chosen few. Minister Davies being a member of the SACP was asked whether he shared the views of his colleagues and if not what did he believe. 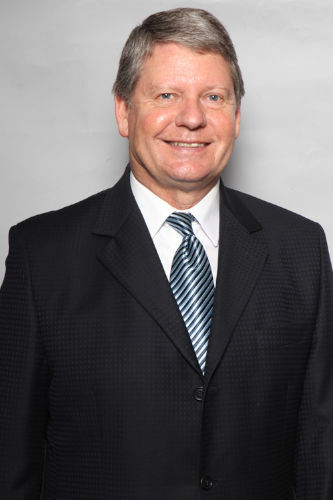 In as much as the DA member appreciated that Minister Davies and his DTI team was on the straight and narrow in the performance of their duties, the Minister was asked to make a statement on behalf of the SACP on how the party felt about radical economic transformation and what it felt should be done. The Chairperson interjected and said that Minister Davies was a minister of the ANC and not of the SACP. The matter raised by the DA member was internal party issues. The DTI was also asked whether there was a backlash on the Africa Growth and Opportunity Act (AGOA) given Brexit and the era of President Donald Trump of the USA. Members further asked whether the disruptions at the 2017 SONA had impacted upon initiatives that the DTI was involved in around the world. The Committee appreciated the efforts of the DTI in revitalising industrial parks. Were there partnerships with provinces and local governments on the revitalisation of industrial parks? How much had industrial parks contributed towards the economy? The DTI was additionally asked what the relationship between the National Empowerment Fund (NEF) and the IDC was. Concern was raised that the localisation policy was not being properly implemented by organs of state. The briefing had spoken about black industrialists’ programmes being targeted at “real operators”. What was a “real operator”? The DTI was asked whether they could give the Committee an assurance that funds were actually going to black industrialists. The concern by members was that there might be instances of fronting. The Committee was given an overview of its First Term Committee Programme. Outstanding Committee Minutes was adopted. The Committee also took a first bite at considering its Draft Report on its oversight visit to Gauteng on the 31 January 2017 and 1 February 2017. The Committee agreed that the Draft Report would be fine tuned and adopted in a later meeting. The Chairperson proceeded to take the Committee through its programme for the first term. Mr D Macpherson (DA) was interested to know when the Committee would deal with a colloquium on investments. The Chairperson replied that the Committee would deal with it in its second term. Mr G Hill-Lewis (DA) asked why two days had been set aside for a joint meeting with the Portfolio Committee on Finance. He stated that the Committee had no idea what was on the agenda for the meeting. He personally felt that the issue of the poultry industry was more pressing and that a meeting should be scheduled. The Chairperson said that the last three colloquiums had to address issues like Broad-Based Black Economic Empowerment (B-BBEE), pricing issues and debt forgiveness. Interactions with financial institutions were therefore required. The Committee would deal with the poultry issue sooner than later. Other issues that had to be dealt with had come up. The Committee would be scheduling meetings on Thursday nights and Fridays. Mr Macpherson asked why the Committee could not meet on Wednesdays. He also felt that the problem facing the poultry sector was important. The Committee needed to get an agenda of the scheduled joint meeting with the Portfolio Committee on Finance. The Chairperson said that Wednesday meetings had been factored into the Programme of the Committee. There was a likelihood that the whole day would not be used on the second day of the joint meeting with the Portfolio Committee on Finance. The matter would be discussed. The Committee would also be using Thursdays for meetings when legislation came before the Committee. The Chairperson asked the Minister of Trade and Industry, Dr Rob Davies, to speak to the issue of the World Economic Forum (WEF) and the 4th Industrial Revolution in his briefing. Minister Rob Davies said that radical economic transformation was one of the key themes of the 2017 SONA. President Jacob Zuma defined radical economic transformation as “...fundamental change in the structure, systems, institutions and patterns of ownership, management and control of in favour of all South Africans, especially the poor, the majority of whom are African and female…” President Zuma had also called for the continued improved implementation of the 9 point plan. There were three elements specifically relevant to the work of the DTI ie higher impact IPAP, mineral beneficiation and promoting investment. The three elements were elaborated upon. Industrialisation was vital “to fundamental change in structure…of economy…” It was essential to move away from dependence on production and export of primary commodities. There was a further need to see more visible and deep seated “fundamental change in patterns of ownership, management and control” in the sector. The reality was that performance of the sector to date was erratic and employment had grown much less than output. The performance of the sector was partly influenced by global factors such as the glut of steel and the weaker demand in key African export markets. There were also domestic challenges such as the weak growth in domestic demand. African countries were affected by commodity prices. Other domestic challenges were high administered prices and inconsistent application of key programmes ie localisation. Be this as it may the DTI’s programmes did have a positive impact. With respect to tax incentives alone the World Bank had concluded that investment tax incentives had contained job destruction in industrial sectors and had encouraged additional investment in agriculture, construction, manufacturing, trade and other services. Notable successes were that in automotives there was capital investment of R6.6bn in 2015 with export units amounting to 333 000 for the same year. In the clothing, textiles, footwear and leather sector output was R41bn in 2015 with employment sitting at 144 000 for the same year. On business process services in 2016 there were investments totalling R34bn supporting 30 000 jobs. In ship/boat building exports totalled R2.39bn in 2015. The DTI had furthermore in 2016 provided R20bn in industrial finance which had created 27 000 direct jobs and 108 000 indirect jobs. The DTI was working towards greater coherence in the deployment of policy levers like localisation. The intention was also to have greater inclusivity in manufacturing and that barriers to entry for new entrants should be lowered across key sectors of the economy. The 2013 Broad-Based Black Economic Empowerment (B-BBEE) Act required all organs of state to implement B-BBEE. Amendments to the Act had been made and the DTI now required a level of compliance as a condition for support. In the automotive industry players like Ford, BMW and Volkswagen etc were coming on board. On the B-BBEE Codes there was a sub-minimum for skills and supplier development. The Committee was provided with detail on the Black Industrialist Programme. The target had been set to support 30, 30 and 40 industrialists respectively for year 1, 2 and 3. The DTI had however decided to accelerate the Programme and it was envisaged to be completed by the end of 2017/18. Access to the Programme was quite tight. The applicant had to be involved in the business which could be in manufacturing etc and there had to be an element of risk. A total of 27 Black Industrialists had been supported to the value of R577m, resulting in 2.5bn private sector investment and projected 5 235 direct and 1 228 indirect jobs. In addition the Industrial Development Corporation (IDC) programme had approved approximately R5.2bn to support black industrialists thereby creating 6 209 jobs. Some examples were provided of the black industrialists who had been supported. On Special Economic Zones (SEZs) and industrial parks the first phase of rehabilitation of four industrial parks had been completed and had been launched. A total of 348 jobs by 37 Small Medium and Micro Enterprises (SMMEs) had been created in the revitalisation project. Government had spent R166m. Three SEZs were designated ie Maluti-a-Phofung in September 2015, Dube Trade Port in October 2014 and the Musina-Makhado SEZ received a cabinet approval for designation in July 2016. The collective investments secured for these new zones amounted to at least R70bn and was projected to create 23 000 jobs. To date 73 000 jobs had been created in the Industrial Development Zones (IDZs), of which 6 896 were direct and 65 637 were indirect jobs. The Committee was provided with insight into the looming challenge of the 4th Industrial Revolution. New digitised technologies were predicted to bring about a “disruptive change” in production and service sectors in the near future ie robotics, Internet of Things, 3D printing and artificial intelligence. Artificial intelligence would not only be present in manufacturing but in retail as well. There was further expected to be a profound social impact. Most jobs existing today would not exist in the next decade or so and the new jobs would require higher and new skills. There could also be an overall reduction in demand for labour with possibly 7m job losses worldwide. Progress had been made from calling for beneficiation to actual implementation. The Chamber of Mines Research Organisation (COMRO) had reopened with funding from the Department of Science and Technology to secure upstream mining localisation and downstream beneficiation. Of utmost importance was the need to localise the procurement of mining equipment. For example Tronox opened an R3.3bn Fairbreeze mineral sand mine in KwaZulu-Natal for titanium dioxide thereby creating 250 direct and 1000 indirect jobs. De Beers had selected 5 black-owned cutting and polishing companies for entrepreneurship development and beneficiation. Fuel cells were a key area for collaboration between the mining industry, manufacturing and government. Some key projects included a bus prototype between the Council for Scientific and Industrial Research (CSIR)/ Busmark who was a local original equipment manufacturer and Hydrogen SA (HySA). Anglo Platinum was also collaborating with HySA Infrastructure on developing fuel cell powered mining equipment. Minister Davies had been present at the Isondo Fuel Cell Plant launch in Cape Town a year ago. Invest SA will be formally launched on 17 March 2017. Its role will be to be involved in the active promotion and improved facilitation of investments. Cabinet had identified a pipeline of approximately 40 projects that were capable of being brought to fruition before the end of this term of government. With SA forming part of the Southern African Development Community (SADC), efforts were being made to promote intra African trade, support industrialisation through the creation of large regional markets that support the development of regional value chains. An Extra-ordinary Summit will be held on 18 March 2017 to consider an Action Plan on industrial development. The aim is to create an integrated regional economy with a diversified, innovative and globally competitive industrial base, which would contribute to sustainable growth and employment creation. Amongst the key priorities is agriculture-led growth including value chains and natural resource-led growth including minerals beneficiation. Progress on the Tripartite Free Trade Agreement (TFTA) is that the Agreement had been negotiated and finalised. The annexes would be presented to Parliament during the second half of 2017.Tariff schedules were also considered to be important. Tariff negotiations with the East Africa Community and Egypt had advanced with a plan to be concluded well before the end of 2017. The TFTA was a building block for the Continental Free Trade Agreement (CFTA) and it was envisaged that the key deliverable of the CFTA this year would be the legal framework. The Kenya-Egypt-Nigeria-SA (KENSA) strategic alliance had been established to promote practical implementation of the development integration agenda and to coordinate positions to advance the TFTA and the CFTA. The African market was very important to SA particularly for value added products. 29% of SA’s merchandise exports in 2015 were sold in other African countries. SA was involved in the continent as an investor and provider of services. The Committee was provided with information regarding SA’s trade relationship with the United Kingdom (UK). The UK was SA’s 8th largest trading partner in 2015. From January 2016 to November 2016 SA’s export of goods to the UK totalled R42.8bn and imports totalled R29.6bn. SA had just completed an Economic Partnership Agreement (EPA) which applied to the UK. The EPA terms and conditions that applied to the European Union (EU) would be carried over to the UK so as not to disrupt trade relations between the countries after the UK exits the EU. There were a number of Tariff Rate Quotas (TRQs) in the EPA and SA would have to negotiate the volume of the TRQs with the UK. Since the TRQs in place with the EU were never increased as more countries became part of the EU like Croatia did in 2014, it was SA’s position that TRQs in the EPA should not be reduced. On meetings of the World Trade Organisation (WTO) it was realised that at present there was considerable uncertainty in trade policy including a widening backlash against trade agreements and globalisation. There were also divergences on the mandate of the development agenda in the Doha Development Agenda (DDA). There was also a strong push for “cherry picking” on e-commerce. Trade rules were far from being developmental. SA’s position was to preserve the multilateral trading system and to continue to advocate for progress on the outstanding Doha issues. Any package agreed to should have a clear developmental character and content and should ensure trade supported inclusive growth. In conclusion the Committee was provided with an overview of budget allocations for the DTI for the period 2017/18 to 2019/20. Mr A Williams (ANC) noted that the briefing made things sound all good and well. The Committee had on oversight found that 25% of factories that it had visited had problems of localisation. The DTI should not only be a disbursement agency for funding. What was the DTI doing about the problem? The DTI needed to deal with the problems. One company was even retrenching workers. It would seem as if the DTI was not following up on funds that it had disbursed. Minister Davies replied that the observations made by members on oversight visits were noted and would be addressed. These occurrences should not be happening. Mr Hill-Lewis agreed with the Minister’s comments on the 2013 B-BBEE Act. National Treasury released new regulations on preferential procurement. He pointed out that preferential procurement would only be available to companies that had 51% black ownership. He asked what about the rest of the B-BBEE Codes. He felt that the 51% black ownership issue defeated the purpose of the B-BBEE legislation. He stated that in the adjustment budget there was R250 000 that was given to the Progressive Youth in Business which was housed in Luthuli House. He said that when he had enquired about this he had gotten no response. He asked to whom was the R250 000 paid over to. He also asked why the Progressive Youth in Business was housed in Luthuli House. The DTI on the disbursement that had been made was asked to provide the requisite paperwork as well as proof of payment to the Committee. Minister Davies explained that 30% had been set aside for small businesses on preferential procurement. The small businesses would not be big procurers. The requirement was that these small businesses should be black owned. The B-BBEE Codes and Scorecard were not off the wall. The Scorecard was more for big businesses. There were references to the Codes. There needed to be consistency. He did not sit down and personally decide on every allocation made by the DTI to any facility. There were teams in place who made these decisions. To the best of his knowledge he understood that the Progressive Youth in Business had introduced a company with a programme to the DTI. He asked Mr October to elaborate further. Mr Lionel October, Director-General, DTI, on preferential procurement regulations said that the DTI had looked at the B-BBEE Act in detail ie Clause 4 (4) of the Regulations. In terms of the Amended B-BBEE Act for any trader at present every organ of state could apply pre-qualification criteria. He explained that what Mr Hill-Lewis was referring to was Sub-Clause (c) which spoke about small businesses being 51% black owned. It was correct that there was a narrow base and the emphasis was only on being 51% black owned. On the issue of the Progressive Youth in Business he noted that the DTI had previously answered questions about it. It was about contracts with the Progressive Youth in Business. Progressive Youth in Business referred companies and entrepreneurs to the DTI. The DTI had systems in place with strict criteria that had to be met. The DTI assessed applications that had been submitted by the Progressive Youth in Business. Some applications were accepted and some were rejected. Mr Macpherson was aware that Minister Davies was a member of the South African Communist Party (SACP). He quoted statements made by the SACP Secretary General and Deputy Secretary General about radical economic transformation. They both made statements to the effect that radical economic transformation was advantageous to a narrow group of black elite or chosen few. President Jacob Zuma had emphasised a great deal on radical economic transformation in the 2017 SONA. Minister Davies had stated that radical economic transformation would drive the IPAP. He asked Minister Davies whether he shared the same views as his colleagues and if not what did he believe. 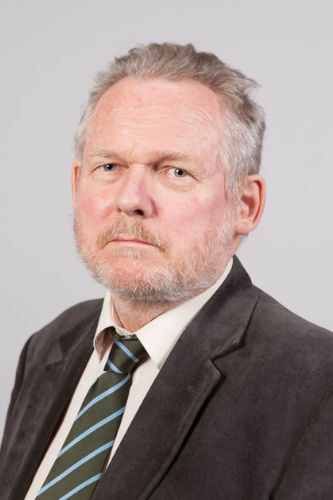 Minister Davies responded that he could not speak about the internal doings of a political party just as Mr Macpherson would not speak about the DA’s internal matters relating to Mayor Patricia de Lille in the Western Cape. He noted that he had in his briefing given a definition of radical economic transformation. The definition was about a radical change in the productive base of the economy and about radical inclusion. He stressed that the Black Industrialist Programme was not for the benefit of a few political elite. The Programme had criteria which had to be met by those applying to be part of it. The persons on the Programme had met the criteria and were genuine. Mr E Esterhuizen (IFP) referred to page 2 which spoke about industrialisation being vital to fundamental change in the structure of the economy. He asked whether competition law would replace industrial policy. He also asked whether competition regulations should be strengthened. He pointed out that a lack of coherence and policy certainty was the reason why there was a lack of industrialisation. He pointed out that mining was still the biggest contributor to the economy. Downstream manufacturing was hampered by policy uncertainty. He stated that local traditional leaders were not taken on board on industrial parks. Workers employed in industrial parks were brought in from outside. There was no real budget and no access. Minister Davies responded that competition law would not replace industrial policy. He stated that traditional leaders had been present at one or two industrial park launches. Industrial parks were infrastructure that was being revitalised by the DTI. Many black industrialists could be found at industrial parks. Mr N Koornhof (ANC), referring to Brexit and the Trump era, asked whether there would be a backlash on the African Growth and Opportunity Act (AGOA). He believed Invest SA is a very important initiative to encourage investment in the country. He asked whether the recent disruptions at the 2017 SONA had negatively impacted upon initiatives that the DTI was involved in around the world. Minister Davies responded that the renewal of the AGOA was an Act of Congress of the USA. If the Executive of the USA wished to change the AGOA then it needed to go to its Congress. He would be attending an AGOA Forum in the second part of 2017. He explained that the poultry quota from the USA was linked to SA being part of the AGOA. Mr Yunus Hoosen, Head of Investment Promotion and Facilitation, DTI, explained that investors took a medium and long term view of a country into consideration when thinking about investing in the country. He did not think that anyone condoned what happened during the 2017 SONA. It was however something that happened all over the world. It had happened in Egypt and in Turkey. Investors looked for policy certainty. The DTI engaged with investors on issues that they perhaps had with SA. Ms P Mantashe (ANC) felt that the revitalisation of industrial parks was good. How much had industrial parks contributed towards the economy? She asked whether local government and provinces partnered with the DTI. Minister Davies replied that industrial parks were owned by municipalities and provinces. It was the DTI who supported them not the other way around. The Chairperson asked what the relationship between the National Empowerment Funds (NEF) and the IDC was. She referred to slide 11 which spoke about working towards greater coherence in deployment of policy levers which could lead to getting localisation right. The reality however was that organs of state did not implement the policy. The DTI was asked what it could do about it. She also referred to slide 13 which spoke about the black industrialists’ programmes being targeted at significant real operators in the industry who were taking risk and were personally involved in the operation of the enterprise. She asked what a real operator was. What type of risk was envisaged? She was impressed by the performance of the K-9 Petfoods (PTY) LTD a black industrialist company in Cape Town that was wholly black and women owned. Minister Davies conceded that the implementation of localisation was a challenge. There were a wide range of frameworks that applied and many things needed to be reviewed. It seemed as if there was an inconsistent application of localisation. There was a need to consider whether there was coherence in localisation policies developed by State Owned Companies (SOCs). The intention in 2017 was to get coherence in the application of localisation. Mr Macpherson noted that there was a titanic battle in the ANC and government on access to resources. He referred to page 2 slide 3 bullet point 3 in which President Zuma had spoken about a need for fundamental change in patterns of ownership in the sector. He reiterated what he had said earlier about the comments made by the Secretary General and the Deputy Secretary General of the SACP around radical economic transformation benefitting an elite few. He appreciated that the Minister and his team from the DTI was on the straight and narrow in the performance of their duties. He asked the Minister to make a statement on what the SACP felt about radical economic transformation and what it felt should be done. The Chairperson stated that Minister Davies was a Minister of the ANC. The question was being posed to the Minister as if he was the Minister of the SACP. She added that the matters being raised dealt with party internal issues. She said that Mr Macpherson could rephrase the question if he so wished. Mr Macpherson said that he was merely asking the Minister whether he was in agreement with the sentiments as expressed by his colleagues in the SACP. He was entitled to ask the Minister questions as part of the Committee’s oversight role. He asked the Chairperson to withdraw her statement. The Chairperson responded that she was only clarifying which entity the Minister was representing in the present meeting. Minister Davies stated that when one looked at the rest of the statement made by the SACP it did not say that it was not in favour of radical economic transformation. He added that he was the Minister of Trade and Industry and did what the Committee instructed him to do. Mr Macpherson was correct that the DTI and himself was on the straight and narrow and did not allow anyone to take chances. All that he had said in the present briefing was that he could work with what President Zuma had said on radical economic transformation in his 2017 SONA. The officials of the DTI were dedicated to their work. Ms S Van Schalkwyk (ANC) asked the DTI whether they could give an assurance to the Committee that funds were actually going to black industrialists. She was concerned that there might be instances of fronting. Minister Davies replied that the DTI received many applications but not all were approved. He conceded that people did approach him and all he would say to them was to apply like anyone else. He never gave instructions that a certain person’s applications should be approved. If instances of fronting did occur then action would be taken by the DTI. He wanted a move away from the notion that every empowerment government initiative would be given to an elite few. This was not what the DTI was all about. There were quality black industrialists out there. There was however still a dominance of a few big players. Minutes dated 6 December 2016 and 31 January 2017 was adopted unamended. In addition minutes dated 21 February 2017 was adopted as amended. The Chairperson pointed out that the Report was a draft and that members should feel free to make substantive inputs to it. She proceeded to take the Committee through the Draft Report. The Committee was in agreement that there were certain issues in the Draft Report that needed clarity and that some sentences required rewording. The Chairperson stated that the Draft Report would be fine tuned and that it would be adopted on the 7 March 2017.